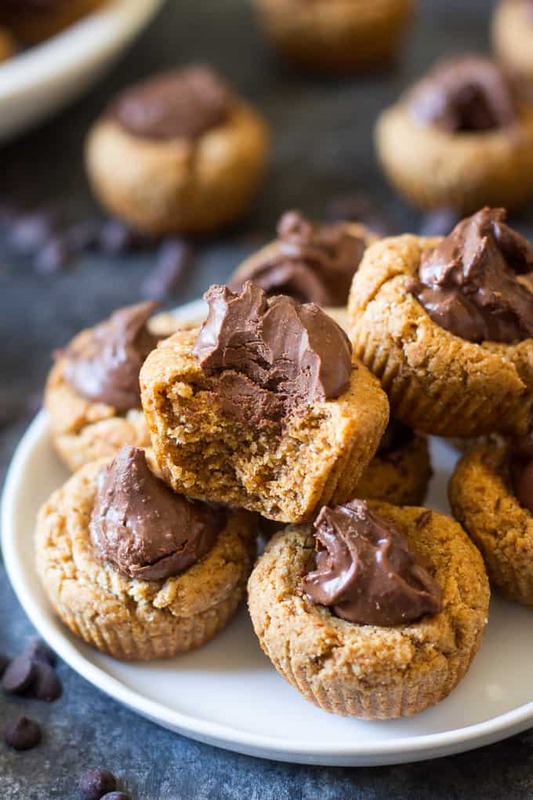 Irresistible and addicting yet healthy Paleo cookie cups with fudgy chocolate almond butter filling. 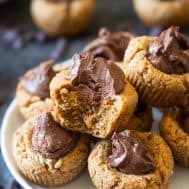 Easy and fun to make, gluten free, grain free and dairy free chewy almond butter cookie cups great for holiday baking! As promised, I’m not stopping with cookies anytime soon. 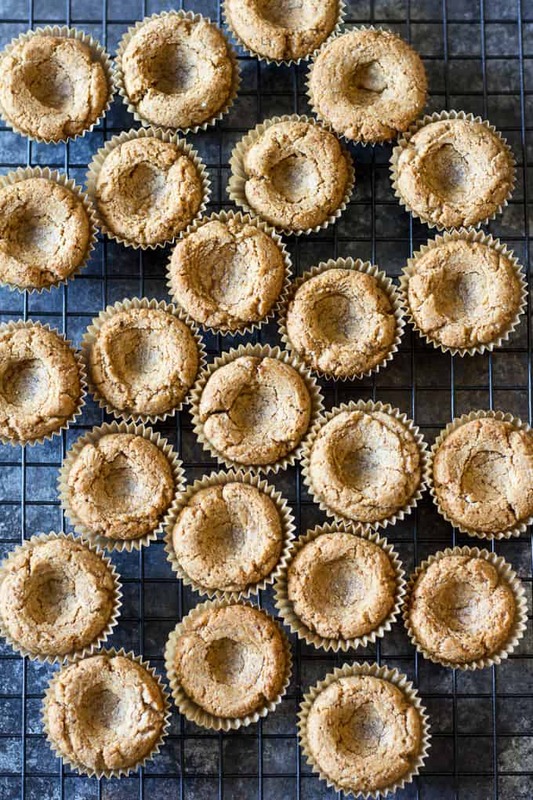 Just getting warmed up, actually, with these super chewy almond butter cookie cups that I can’t stop eating! 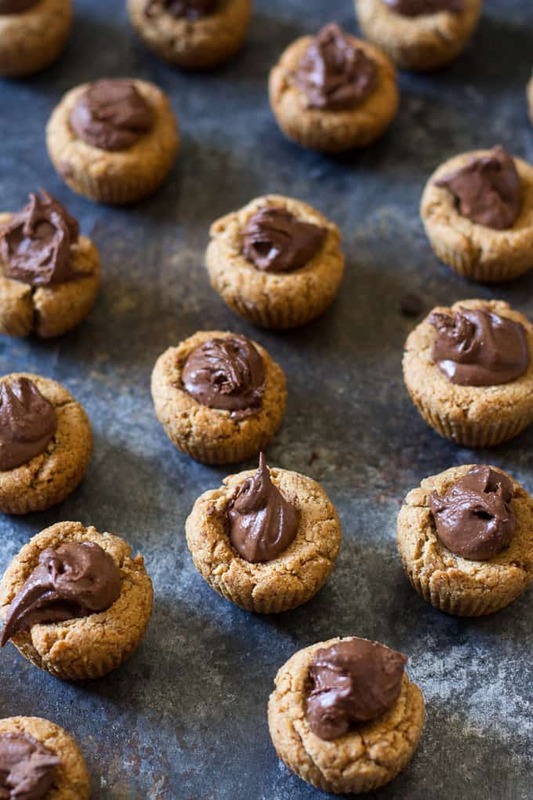 Way back in the pre-paleo day, those incredibly rich peanut butter cup cookie cups – the ones where you stick a mini peanut butter cup right in the middle of an already-sweet-enough peanut butter cookie – were one of my favorite holiday cookies to bake. Adam sort of hated when I made them because they’re hard to stay away from and easy to regret. I didn’t care! Something about making those cookies just make me way too happy. 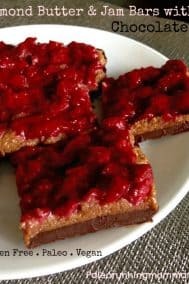 I’ve been thinking for awhile about creating a healthy variation on those cookies, but I hesitated, since I thought it was one of those “copycat” attempts that would leave me disappointed. But, I reconsidered. I realized that I LOVE all the Paleo cookies I make, and there’s no reason to deprive myself of a Paleo take on that old favorite. Almost immediately, I realized that I already had a recipe for chocolate almond butter sandwich cookies that could easily be adapted into an even-more-fun cookie CUP recipe! Yes, sandwich cookies are fun and I won’t be stopping with those anytime soon. But, these cute little cups give me warm fuzzy holiday vibes that I had to share with you! Plus, just as with the sandwich cookies, they’re surprisingly easy to make. The cookie dough is super simple – I used almond butter, an egg, coconut sugar, vanilla and Bob’s Red Mill superfine blanched almond flour to create this ultra chewy, almond buttery cookie dough. I really love the combination of nut butter and blanched almond flour to create a nice and chewy Paleo cookie. The perfect vehicle for the fudgy chocolate almond butter filling. 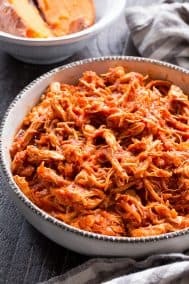 The filling itself is also oh-so-simple. I microwaved dairy free, soy free dark chocolate morsels with more creamy almond butter until smooth, then added a bit of vanilla. The filling begins to cool/harden quickly, so I filled my cups when it reached the consistency of frosting, and once it cooled it became a rich, chocolatey fudge. 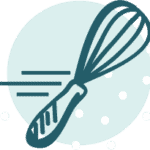 When choosing almond flour for Paleo baking, it’s typically best to choose a very fine, blanched almond flour to minimize any “graininess” and mimic the texture of traditional cookies. I’ve experimented with several almond flours (as you might imagine!) and Bob’s Red Mill Organic Super-fine Blanched Almond Flour does a great job in creating a delicious chewy cookie. Bob’s Red Mill Almond Meal is ground from whole, blanched sweet almonds. 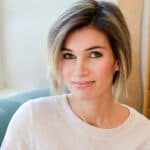 Almonds are notoriously healthy nuts providing a good amount of manganese and vitamin E , as well as a healthy serving of monounsaturated fats in each 1/4 cup serving. Not only do almonds have a healthy boost of protein, they are also very low in carbohydrates and inherently gluten free – perfect for Paleo baking! 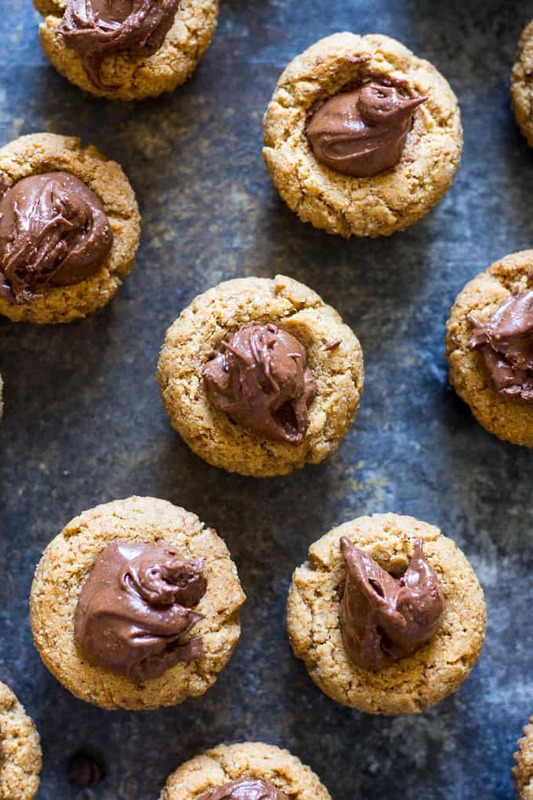 Are you guys ready to bake these rich, chewy, fudgy and addicting cookie cups? We’re making 24 of them here, so, hopefully that will be enough! When it comes to holiday cookies we have to go big or go home, right?! So either the cookies are big, or, the recipe is big enough to make LOTS of cookies. 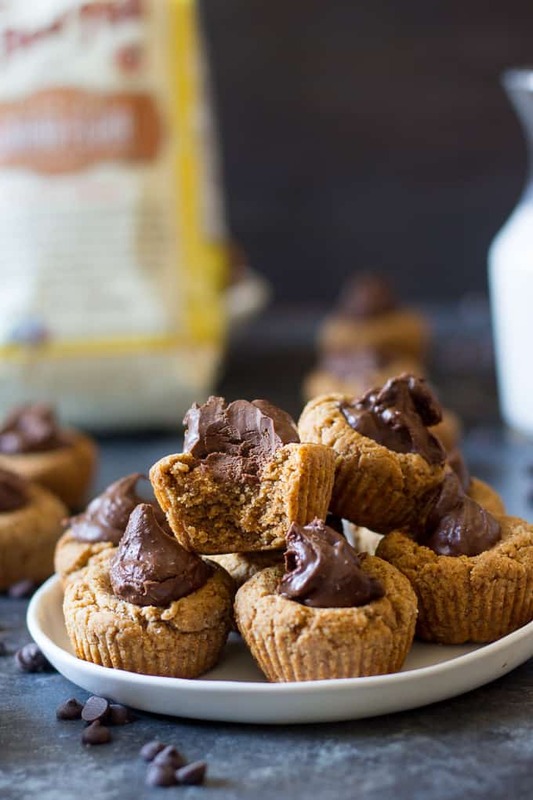 Paleo Chocolate Almond Butter Cookie Cups that are perfect for the holidays or anytime! 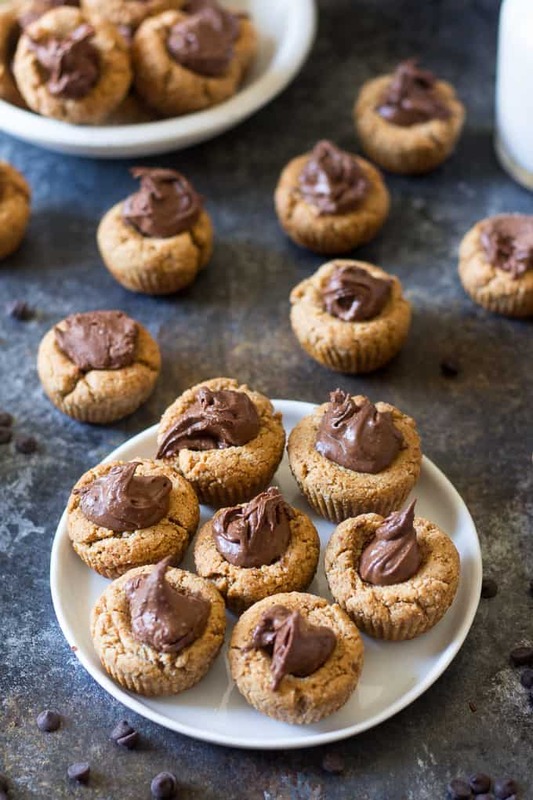 Simple, delicious and healthy chewy almond butter cookie cup filled with a dreamy chocolate almond butter fudge. Grain free, dairy free. In a large bowl, beat together the egg, almond butter, coconut sugar and vanilla until smooth. In a separate bowl, combine the almond flour, baking soda and salt, then stir this mixture into the wet ingredients until fully combined. The dough will be thick and feel greasy due to the almond butter but this won't affect the cookies. 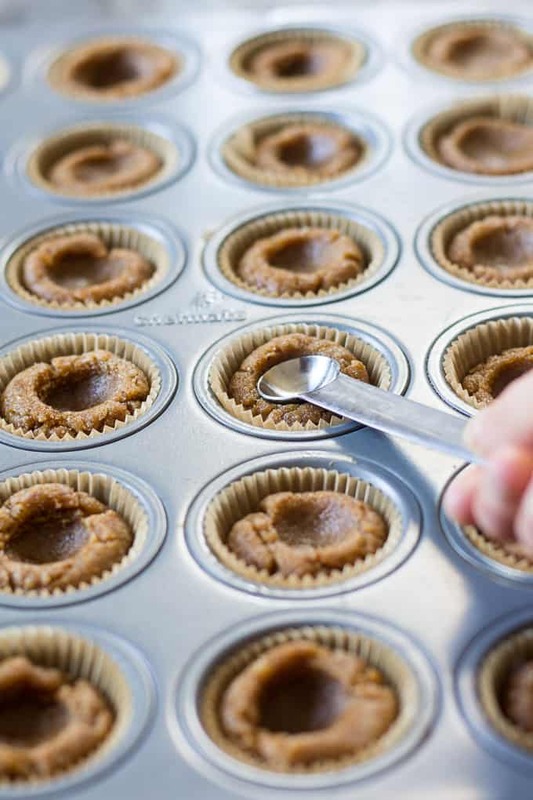 Scoop the dough evenly between the 24 mini muffin cups, then use the back of a 1/2 tsp to make a dent in the center to form the "cups" as shown in the photo above. Bake in the preheated oven for 8-10 minutes until just set. The centers will puff up a bit while baking, so very lightly press them down again once removed from oven. While the cookies bake, put the chocolate chips and almond butter in a microwavable glass bowl and microwave in 25 second increments, stirring after each one, until melted and smooth. Stir in the vanilla once melted. To form the cookie cups, wait until the filling cools enough so it's the consistency of thick frosting, then spoon some into the center of each cookie cup. If the filling hardens too much while making the cups, simply microwave for 10-15 second and stir to soften it. 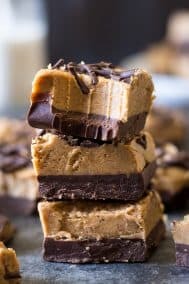 The filling will cool to the consistency of fudge and the cups will be chewy. Store leftovers in the refrigerator for up to 4 days. Enjoy! *You could also lightly grease the cups with coconut oil - the liners make cleanup and removal so much easier though! Remember to grab your Bob’s Redmill coupon here and get a head start on holiday baking! What’s the ultimate cookie cup for you? 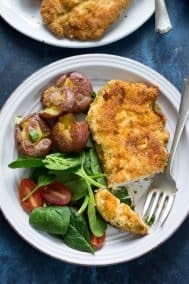 Favorite ways to use almond flour? How cauteeee are these cookie cups! AB + chocolate is always a winning combo and so are cookies! Love how simple these are! Thanks! Yup always a winning combo! 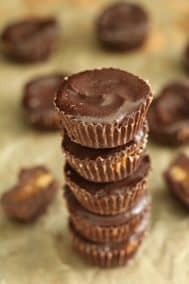 Do you know the nutritional information on the almond butter chocolate cups? A friend has made these several times and we love them!!! Thank you!!! I can update the recipe to show nutrition, check back soon! I added these in my fitness pal the nutritional value is different. Mostly concerned about carbs. Any idea why? Could they be filled with jelly and turned into thumbprints too? Yup you could really put any filling in there! Chocolate and cookies? YES PLEASE! These are the perfect little vehicle to go from plate to hand to mouth in one fell swoop. The pictures are fantastic too. I’m seriously loving all the almond on chocolate action going on here 😉 And can we please talk about that filling?! I’m dying over how fudgy it looks! And probably the simplest filling ever too! I made these delicious treats tonight and they turned out amazing! My husband loved them too. 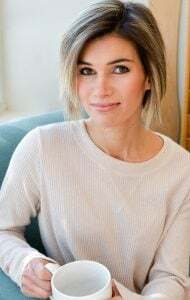 Thanks for the recipe and I look forward to trying more of your fabulous healthy treats.? 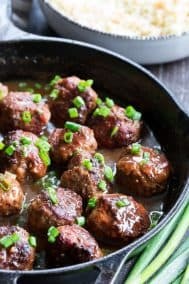 Can these be done with sun butter and something other than almond flour? My son is allergic to green nuts and was thinking perhaps I could use coconut flour. 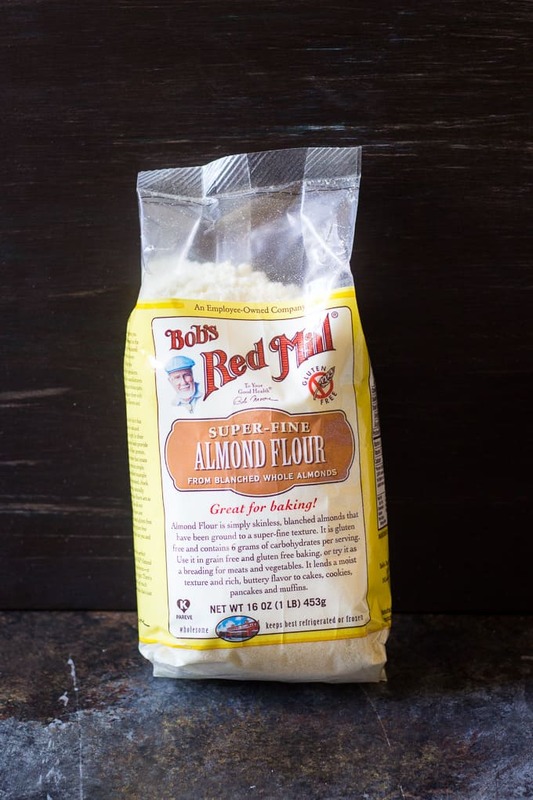 Does it have to be Bob’s Red Mill almond flour? These are quick and delicious! I used xyla instead of coconut sugar and After I took them out I just put three chocolate chips in the middle while they were warm and then when softened swirled them together Thank you. Oh my goodness! 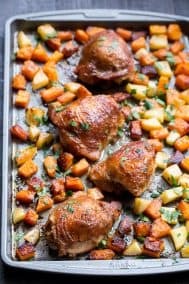 Thank you a million times over for this recipe! I just completed my third week eating a strict Paleo diet. I have a long way to go in my health and weight loss goals and was having a little tantrum today, focused on what I no longer eat. It was a real, pathetic, pity party!! I found these cookies on Pinterest and whipped them up quickly. I just enjoyed one and all feels right with the world again. 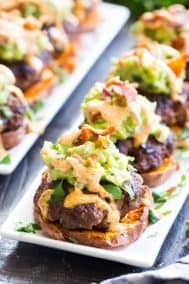 Could you make these with a flax egg? I used almond and vanilla extract.,also, piping bag help me a lot filling up cookies! Thanks for sharing! 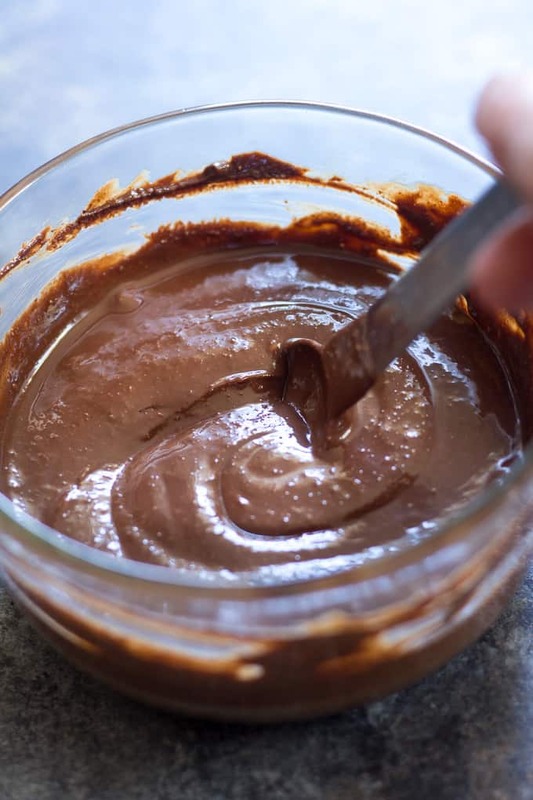 Do you use this chcocolate topping in anything else? Looks so good! I made these today with a twist; having no mini-cupcake liners or pans, I made them into choc chip cookies. Had to add about 1/2 TBS of avocado oil and one egg, as my almond butter was not thin enough. Mixed in choc chips and baked for 9 min. Best choc chip recipe I have found yet.